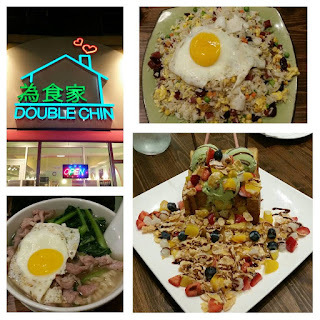 I realized when ordering at Double Chin's that my kids would really love pretty much everything on the menu. Actually my younger son will pretty much eat everything. I mean he's into shrimp, he's into lobster. But my older son has gotten picky. He likes things... I wouldn't say more American, and Double Chin is more Hong Kong style, but it's got that playfulness to it that I think makes it more acceptable to kids. It feels like a young person restaurant. Something hip. Not to say that if you are older that you can't find what you are looking for.. but check out that desert (which I just ordered as a meal.) It was the "Matcha Ma Call It." French Toast with ice cream and cereal and fruits and all sorts of Mochi like things put all over it. It's like a playground of desert and breakfast. In fact every time I go here I think, "I have to find time to bring Noah here." Somehow though whenever in Chinatown with them, I always end up getting them Ha Cherngs or Baos at May's Cake House (the closest thing to the Tufts Medical Center stop) and then eating at the playground. But I can totally see how this would be the hang out place. When I was kid there was Cindy's Planet (which I actually only went to once but all the cool kids talked about it) and then for a while Best Cafe was this place all the cool kids went... of course I was always, even when semi part of this cool kid demographic... just visiting it or something. Glimpsing at it. Now I am the older guy going out occasionally, playing hooky on story and bed time... but as far as I can tell, this the place in Chinatown. the trendy place designed for teens and college students... that's not who I necessarily see in there, but maybe that's because we all, in our minds, are in college or just out of college. My dinner mates were trying o figure out what this restaurant used to be and I realized it was Apollo. I had never actually been to Apollo's but it was supposed to be famous for serving liquor to minors. Some Korean friends from high school went there and had stories about getting trashed before having to get a cab back to the fancy prep school I went to. You know Chinatown stories are almost more exciting when the protagonists are foreign, rich, and misbehaving in a way that they have to "escape." Sound like a story about some divers on the US Olympic team in Rio. But anyway, Apollo was known more for the liquor than the food basically. Double Chin's is so much more wholesome looking. The new Chinatown. The Disney Chinatown where you can still order alcohol, but it is hard cider, instead of shots. And the Food is awesome. 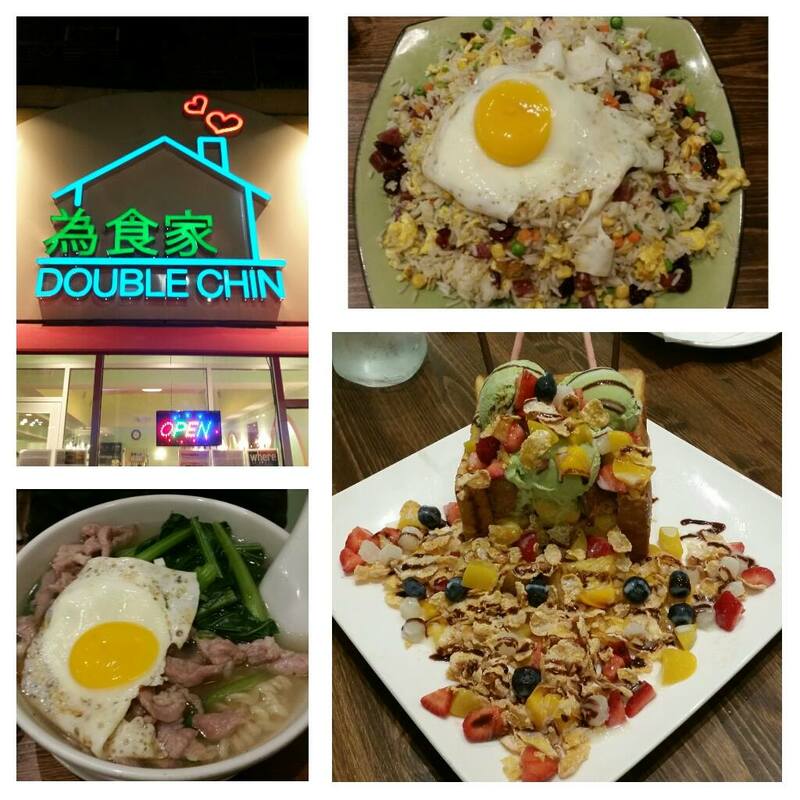 I would love to be in College and be heading into Chinatown to go to Double Chin's before or after clubbing. Gobble down noodles, or a Chinwhich, a half a duck, or snarf down ice cream on top of french toast. I mean where else does one buy that?